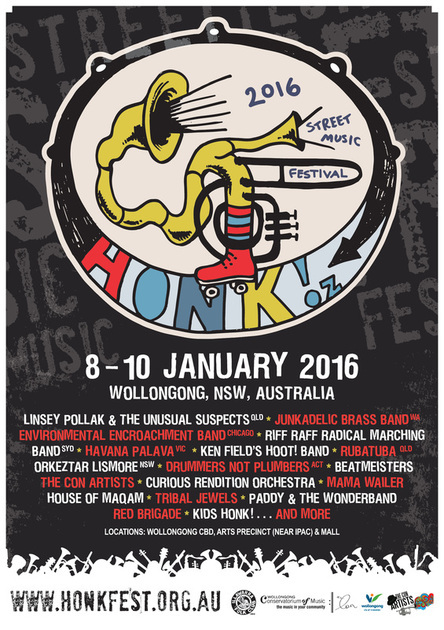 A huge thank you to all the bands, supporters, volunteers, organisers, venues and to the community of Wollongong for making HONK Oz 2016 happen. HONK! Oz 2016 is a fringe event of the 2016 Illawarra Folk Festival.